Sambalpur region is not only the birthplace but also the base of Padmasambhava, a distinguished promoter of Buddhism who earned the title, ‘Buddha the Second’ in history. Some new light is expected to be thrown into his era as the Indian Trust for Arts, Culture and Heritage (INTACH) unearthed some archaeological pieces recently. An INTACH team located a rare stone sculpture, Dakini Singhmukha (lion’s head), which was found broken into two at a rarely visited place in Jharsuguda district. The finding was done on the left bank of Mahanadi, while the team was conducting an archaeological survey in the river valley. It appeared that more such findings are likely in the surrounding areas, Panda said. “The finding of Dakini Singhmukha establishes the fact that the region was a famous Buddhist centre during the peak of Buddhism in India. This could shed new light on an undisclosed chapter of history of the region,” he felt. Dakini Singhmukha used to be the principal among the contemporary masters (gurus) of Padmasambhava as per the Nyingma (ancient) Buddhist rulings. “The finding of Dakini Singhmukha establishes the claim that this region was the birthplace (janmabhumi) as well as the workplace (karmabhumi) of Padmasambhava,” Panda said. “In the region, many old sculptures are shifted to newly built temples by the local people under the false assumption that such statues must be placed only in temples. The most important aspect of the finding is that it will help historians who are trying to prove that Sambhal is Sambalpur, Manad is Mahanadi and Uddiyana is Orissa,” he added. Panda said apart from this, the INTACH team has identified many sites in Sambalpur where old sculptures are kept by people having no knowledge of their history or significance. Convener of Sambalpur chapter of INTACH Tarini Prasad Panda said all these findings are being located on the left bank of Mahanadi, in the areas of undivided Sambalpur district. By the time the survey at the left bank is complete, more aspects of Sambalpur’s history would be unveiled, he said. The findings are now being documented. 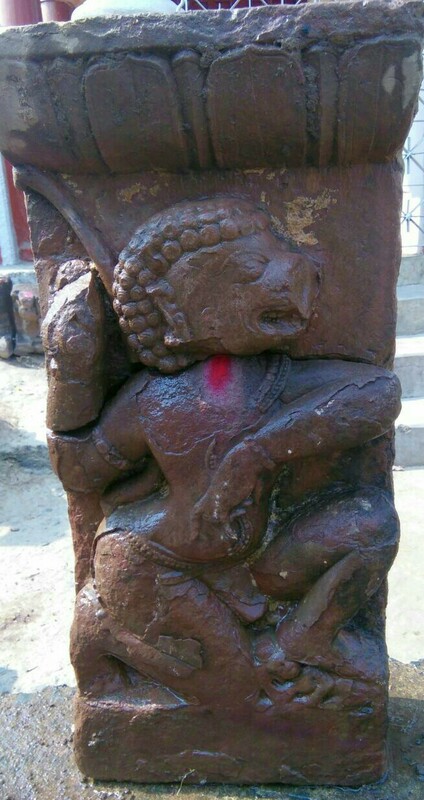 “These sculptures clearly indicate the existence of an old Sambalpur before Balaram Dev reestablished modern Sambalpur in 1556. When we take up survey on the right bank of Mahanadi, many surprises will be in store,” said Bibhudatta Promod Kumar Mishra and Kulamani Patel, members of the survey team.